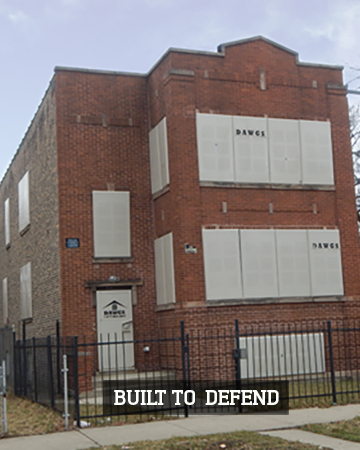 What are the best methods for protecting vacant properties? When properties are vacant prior to or during repair and renovation, building owners often evaluate different methods for securing the vacant property to protect it from break-ins, vandals, squatters, or thieves. Plywood window board-up has the perception of being the most affordable method of vacant property protection- however, plywood instantly telegraphs that the home is vacant to all passer-bys. Plywood also gives the perception that the neighborhood is in decline – especially when multiple buildings in a neighborhood have plywood boardups. The problem with security cameras in distressed areas? Surveillance cameras are expensive and easy to steal. In addition, disabling cameras or simple disguises often mask the identity of intruders and vandals. Guard dogs and security guards are less common than board-up and cameras because it’s expensive. 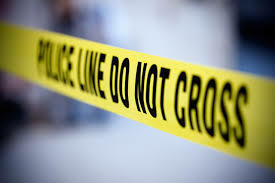 On-site manpower involves putting someone’s life at risk, particularly if the dog or guard encounters a criminal who didn’t anticipate getting caught. The best alternative for vacant investment property security is steel door and window guards. Steel is stronger, more durable and more attractive than plywood and very effective at keeping intruders out of the building. Coded steel door guards provide unsurpassed security and managed access to the property as needed. Need to secure a vacant property? Contact DAWGS today. 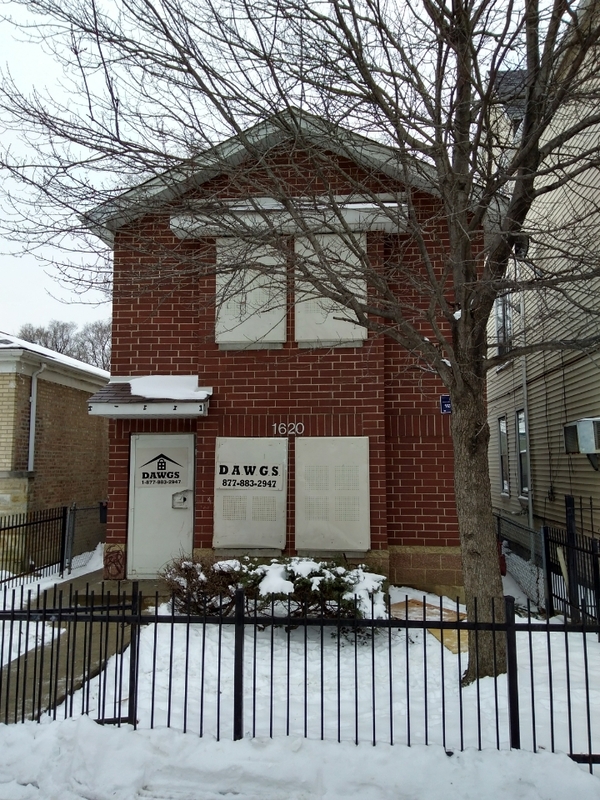 If you are familiar with DAWGS or have used their services to secure a vacant property, you know their steel door guards and window guards provide unparalleled, impenetrable security. What you may not know is that for some applications DAWGS provides a steel door guard-only solution. In a situation where securing the entire property with steel door guards plus window guards is not necessary, the DAWGS door guard-only solution is available. CHICAGO – Macon Raine, a B2B SEO and PPC content marketing agency, has announced a new strategic marketing partnership with DAWGS Inc. Independent research has shown that 95% of break-ins occur on the sides or back of vacant property. This is due to those openings being concealed and less visible to passersby. It is this very research, which lead to the introduction of DAWGS ClearGuard. ClearGuard is a patented, impact resistant clear polycarbonate security solution used to cover openings on vacant buildings. DAWGS ClearGuard provides a safe and secure view into vacant property while protecting the property from break-ins, squatters and other threats. DAWGS recommends a hybrid approach when using ClearGuard. This approach uses ClearGuard on the front of vacant properties and steel door and window guards on the sides and back of the property. Using this method of vacant property security provides a clear and secure view into the property, which prevents break-ins and other criminal activities. Another benefit of the DAWGS solution is the much needed curb appeal it provides, a component lacking in other board-up alternatives. DAWGS uses a one-of-a-kind bracing design system, which effectively eliminates the risk of tampering. Highly responsive, flexible labor crews install the door and window guards which stay firmly in place with virtually no risk of being compromised. 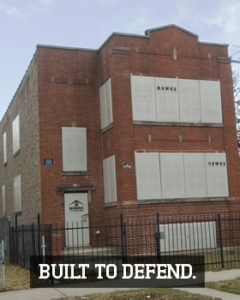 DAWGS vacant property security solutions secure many different types of vacant properties. They are used and trusted by leading REO Companies, banks, government agencies, public housing organizations, mortgage companies and construction, as well as real estate management companies and property preservation and restoration organizations.